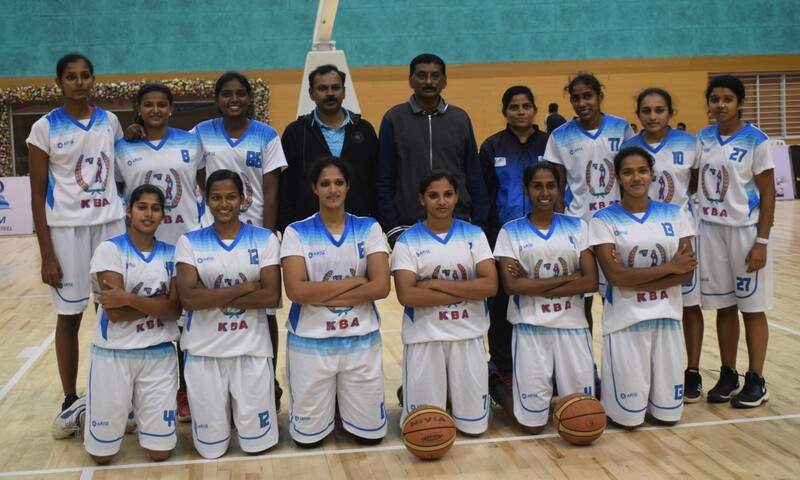 Bhavnagar 12th Jan 2019 - Kerala women retained their bronze medal as they beat Chhattisgarh 79-73, while Tamil Nadu men defeated Karnataka (84-69) to claim the Bronze medal here at the 69th National Basketball Championship for Men and Women -in Bhavnagar, Gujarat . In women’s match for third place, Kerala after leading 42-33 at the half time came on to beat Chhattisgarh 79-73. Jeena P S was again the leading scorer with 21 points followed by Poojamol with 18 and for Chhattisgarh, Poonam Churvedi scored 41 points. In the 3rd position match for men, Tamil Nadu after a lead of 44-39 came on to beat Karnataka (84-64). Muiin Bek top scored with 20 points while Hariram scored 19 points and for Karnataka, Jeethendra scored 17 points and Rahul Sarath scored 16.